EVERETT, Wash., Feb. 6 /PRNewswire-FirstCall/ -- The newest member of the Boeing 777 family, the 777 Freighter, today received its formal stamp of approval from the European Aviation Safety Agency (EASA). 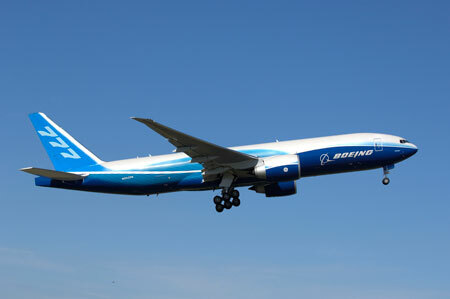 EASA validated the U.S. Federal Aviation Administration's (FAA) Feb. 3 type certification of the 777 Freighter. The certification formally recognizes that the 777 Freighter has passed the stringent design and testing requirements mandated by FAA and EASA, clearing the airplane for cargo service. The first 777 Freighter will deliver to launch customer Air France later in the quarter.